YOU MUST REGISTER. REGISTRATION INFORMATION COMING SOON. 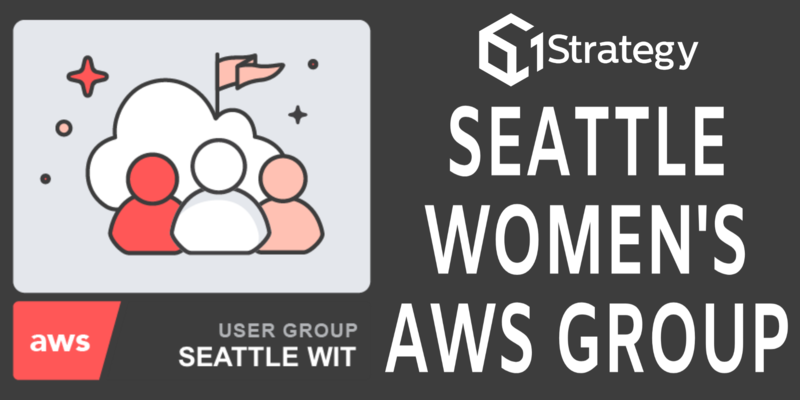 If you are a woman in the tech field who is interested in learning more about AWS—from technical topics to networking—join 1Strategy for our upcoming Women-in-Tech Lunch & Learn. We will discuss the role & experience of women in technical fields, Q&A, and time for networking. Please use link to register. This Lunch & Learn will be hosted at the Amazon Coral building in Seattle, Washington and lunch will be served! For more information about our Seattle WIT Meetup, click HERE.